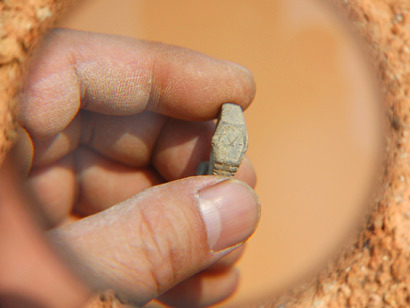 Two journalists from China were making a documentary together with archeologists and they found a tiny Swiss watch in a 400-year-old tomb. The clock stopped at 10:06am and had the word “Swiss” engraved on the back. They are now waiting for experts from Beijing to help them solve this mystery.